Are we alone in the universe? We have reached a time in history in which this ancient question is coming out of the darkness of pure philosophy and into the light of empirical science. With each passing year it is becoming increasingly possible to answer, and after some leading astronomers recently reported we may be able to conclusively answer “no” within the next twenty years, it seems an opportune time to start considering; what will it mean for us? Humanity desperately needs to discover extraterrestrial life, and we need to realise that increased efforts into this venture will offer far more than mere academic pleasure. This is not to say we need aliens to come rescue us, but being aware of other-worldly life will help save us from ourselves. By taking advantage of our evolved tribal tendencies, finding other life in the cosmos could help turn our world into a global tribe, where we will feel a kinship – a connectedness, belonging and identity – with all others on Earth. 1. Nature is governed by constant and pervasive physical laws, that we can only assume extend through the entirety of the cosmos. 2. Through these laws, life on Earth has evolved through a process of random variation and natural selection. 3. The universe is stupendously vast. In our observable universe alone, there are approximately 100 billion galaxies, each with 100 billions stars (that’s 10 000 000 000 000 000 000 000 stars in total). When we consider these three facts together, an obvious conclusion crystallises: life, by pure numbers and probability, surely has precipitated elsewhere. The difference in opinion rests in what odds the origin of life are up against, which in turn dictates how vast the oceans of space separating each island of life should be. As our methods of detection can only swim so far, we speculate whether they could reach the shores of another world. I will not attempt to discuss these odds or distances here – they are fiercely debated by the foremost experts in physics, cosmology and biology – but I will point out that the more favourable predictions place other life well within our reach. Just over fifty years ago, the United States launched the Search for Extraterrestrial Life program, otherwise known as SETI. It started through astronomer Frank Drake, reaching out to the heavens with radio telescopes, scanning for any signals that would indicate intelligent life. However, this was not a terribly effective means to find other life for a number of reasons – most notably because it excluded life that had either not reached sufficient intelligence to artificially produce radio waves, had not chosen to produce them, or had since stopped producing them in favour of more advanced techniques of communication. More recently, astronomers have been exploring other techniques to discover life, including non-intelligent life, and has largely been made possible by our burgeoning catalogue of exoplanets; planets that our outside of our solar system. In the past two decades, the number of known exoplanets has leaped from 1 to over 1800, and this number is increasing every week. Amazingly, it seems the vast majority of stars are accompanied by orbiting planets, with approximately one in five having planets in the ‘Habital Zone’ (or the ‘Goldilocks Zone’ – not too hot, not too cold; just right for liquid water to exist). Given the immensity of distances, we generally cannot ‘see’ exoplanets, so their detection has predominantly been achieved by identifying their secondary effects; either via a planet’s gravitational influence upon its parent star, or the dip in light we detect from a star as a planet passes in front of it, thus blocking some of its light. This has been extremely fruitful for cosmologists, however not particularly for the search for extraterrestrial life, for two reasons. Firstly, it doesn’t reveal much about a planet other than its mass, size and orbit. Secondly, these methods only detect particularly massive and heavy planets (such as the gas giant Jupiter), who’s environment are not particularly conducive to harbouring life (at least how we know life to exist). A major advancement will be afforded by the James Webb Space Telescope, due to be launched in 2018. This nine billion dollar piece of majestic machinery will sit in space four times farther from Earth than the Moon, and will allow scientists to detect light from the exoplanets themselves. The beauty of this will be in its ability to overcome the shortcomings of our current detection methods; we will be able to detect much smaller planets, and we’ll be able to find out a lot more about them. For instance, light is full of encoded information, and through a method knows as spectroscopy, scientists will be able to deduce the composition of a planet’s atmosphere. What will they be searching for? ‘Biosignatures’: chemicals or combinations of chemicals in an atmosphere that would indicate the presence of life. We wouldn’t know too much more other than this initially, but what an amazing discovery it would be. It is advancements such as this, and potential missions to Europa and Enceladus (the water-covered moons of Jupiter and Saturn, respectively), that are exciting many astronomers. Kevin Hand, deputy chief scientist for solar system exploration at NASA, recently told members of a Congressional science committee, “I think in the next twenty years we will find out we are not alone in the universe”. 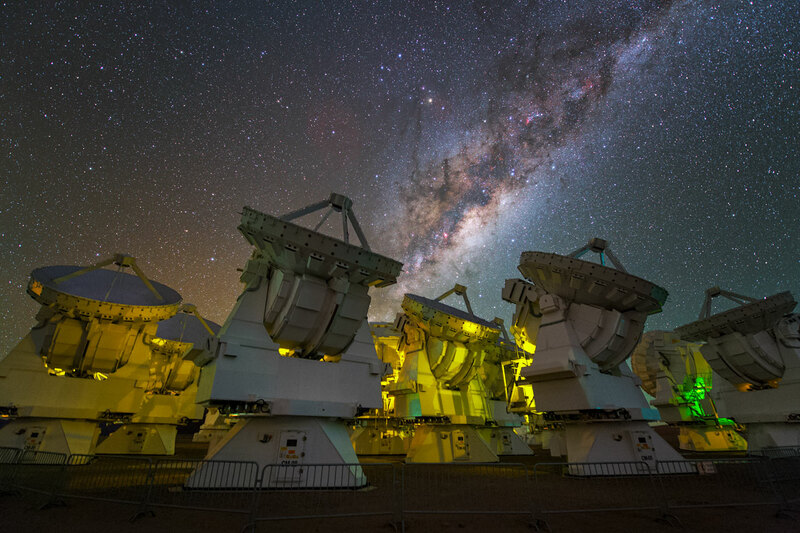 Russian astronomer Andrei Finkelstein made a prediction with the same time frame three years ago, and Seth Shostak, senior astronomer at the SETI Institute, said we will discover a signal from intelligent life by 2025. Whether this is optimistic or not, it is no doubt exciting. Indeed, one of my biggest wishes is that I’ll be alive to witness the discovery of extraterrestrial life. Such a discovery will obviously have profound implications for humanity, and many have speculated as to what these will be. Science, technology, politics, religion, economics – all could be profoundly influenced in a variety of ways. This brings me to the point of the article. One of the most profound effects of discovering extraterrestrial life will be an increase in compassion for one another on Earth. This will come about through tribalism: the strong compulsion to favour those within our tribe or group, as opposed to those outside. Tribalism is an inherent part of human nature – a pervasive behaviour sculpted through the mechanism of evolution by natural selection. Discovering that life on Earth is not alone could take advantage of this instinct by helping to create a tribe that spans the globe. How have our tribal tendencies evolved? Well, evolution not only selects for aspects such as faster running legs, forward facing eyes or opposable thumbs. The brain is a physical organ, and thus its resulting behavioural states are also subject to selective pressures. This is the basis of the field of evolutionary psychology – the study of human psychological traits as evolved adaptations. Usually, behaviours that occur universally are good candidates for evolutionary adaptations, such as sexual jealousy and our propensity for sugary and fatty foods. With respect of tribalism, for the majority of our evolutionary history we have shared much more genetic information with others within our tribes compared to those who were outside. Tribes were often remote and separated, with members procreating within them much more frequently than between them, and so were essentially like extended families. As there was a high degree of genetic relatedness within the group, behaviours that helped others within them also tended to help one’s own genes. Therefore, altruistic acts that helped others within one’s own tribe would be evolutionarily selected for, just as a finch with a tougher beak for breaking open nuts would be selected for. But the other side of this coin entails hostility towards outsiders. Expending resources and well-being for the sake of those outside the groups was selected against. Furthermore, taking advantage of those outside, or fighting with outsiders for resources, was selected for. The afterglow of this adaptation can be seen in our modern day to varying degrees, such as workplace squabbles between different departments and family feuds . Of more concern, our tribal attitudes are contributing to more consequential issues – racism, religious conflicts and unbridled nationalism – which threaten our wider society and existence. We have a tendency to identify others as members of a tribe or group, rather than individuals. Discovering extraterrestrial life will transform our global population into an in-group. Extraterrestrial life will constitute a ‘them’, and therefore there will be an ‘us’. We will focus on our similarities rather than our differences, and identify more strongly with not only other humans, but all life on the planet; Earthlings. In his book ‘The Expanding Circle‘, philosopher Peter Singer similarly argued that we can hitch a ride on our tribal tendencies and modulate them for the better. He says that whilst our innate tendencies to help others are generally limited to those within our group, as creatures with the capacity to reason we can build on these elemental behaviours and expand them to progressively wider circles. In other words, moral and ethical progress does not entail a battle between our reason and instinct, but rather a synergistic effect of reason and instinct working together; they can push and pull in the same direction. However humans are not the ultimately rational creatures we like to think we are. Our cognitions are riddled with biases, heuristics, prejudices and quick judgements, and whilst I agree with Singer’s arguments, appealing to the ape within us all could provide a much needed booster or quick-fix in these tumultuous times. It’s likely you have already experienced a kind of tribal cognitive shift. Consider your emotions towards players in your local and national sports teams. Say you like football, and are watching your local team playing a rival one. You cheer for your side’s specific players, join them emotionally in their moments of happiness and joy, and share their moments of sorrow and loss. Now contrast this with how you feel towards players of the opposing side: You despise their celebrations after scoring a goal, claim they commit many more fouls than the referee ever identifies, and news of injury to their star player is welcomed. These are misfirings of your evolved tribal tendencies. Now imagine it is the world cup, and a few players from that rival side are playing for your national team. Suddenly your feelings towards them have drastically changed, having transformed into emotions usually associated with your local team’s players, because they’re on your team. It is this kind of transformation – this extension of the in-group – that could be afforded by discovering other life. The global population on Earth would become an in-group; we would be a team. This type of cognitive shift has also been experienced by numerous astronauts during spaceflight over the past few decades, though a little more profound. Whilst in orbit, many space men and women have been struck by the view of our world; seeing our island paradise as tiny and fragile against a canvas of inhospitable darkness, having the sudden revelation that our reasons for conflict are insignificant, and understanding our need to support one another and our planet is paramount. This phenomenon is so common in fact that it has been coined ‘The Overview Effect’. Of course, not all of us can be astronauts to experience this profound experience (despite the aspirations of Virgin Galactic), but discovering extraterrestrial-life could have the same effect. Humanity desperately needs a global cognitive shift; we all need to have an Overview Effect. At a time in history where we are irreversibly destroying the environment and climate, and weapons with cataclysmic potential are only becoming easier to obtain, increased efforts and expenditures into ventures such as SETI are fundamentally crucial for uniting us as a species. Indeed, when we gaze up to the heavens in search of other life, we are in essence looking for our global tribe. We are looking for our continued existence. Firstly, given the distances to habitats that may harbour alien life, simple detection via telescope is stupendously more probable than back-and-forth communication, which again is incredibly more likely than physical travel and contact. The purpose of this article is to address the implications of detecting alien-life in the coming decades. For better or for worse, a Star Trek-like galaxy does not seem likely in the foreseeable future. Secondly, as the sciences and technology advance with time, so too do our ideas of morality and ethics. Although many believe humans are becoming more violent – making this conclusion against the backdrop of a seemingly grotesque and bloody twentieth century that witnessed the first and second world wars – psychologist Steven Pinker has shown in his book The Better Angels of Our Nature that in fact we are becoming increasingly more peaceful as a species. Thus, I am inclined to think that once an intelligent species has advanced to the stage whereby interstellar travel is achievable, moral intuitions would have similarly progressed. I like your article. I think is very good and has some very powerful comparison for everyone to understand (football team association). Also “the thoughts of the astronauts ” are very powerful as well. All together I like it. Seems to me that humans want to find other people, whether they’re aliens or animals or even gods or other supernatural beings. In our history humans have been travelers who went on great explorations to find other people. Although those other people turned out to be human too, we succeeded in finding other people that weren’t in our tribe, people who live differently to us. The search for alien life is mostly a search for intelligent alien life, i.e. people. Intelligent aliens are another kind of people, they just live differently to us. Amazingly aliens could even be a different form of life to us on a more fundamental level than just living elsewhere (the way that the rest of the world lived unbeknown to ancient, isolated island nations). Alien life could actually be made from something like silicon instead of carbon. Similarly gods are people different to us by their basic substance. When we ask if there are gods or spirits or fairies or aliens we are asking if there are people out there different to humans. On a deeper level I think we are asking if there are people out there that are not in my tribe. On the upside of the tribalism issue with its predisposition to xenophobic bigotry, I think we can treat aliens as members of our tribe by remembering that we have all been seeded by this universe. It’s similar to how the animal kingdom, plant kingdom and other kingdoms of life on Earth were all seeded by this planet. All human nations were seeded from the same species. I like Peter Singer’s idea of ever-expanding circles of inclusiveness. I have already found my global tribe – the corny expression global citizen applies to me. Now when I look at the stars I’m looking for my universal tribe. I really like their perspective. I gather that it’s turned out that the stars aren’t infinite so it is not inevitable that life exists elsewhere let alone is there a replica of this earth. That’s just academic though and universe is practically infinite and so are the chances of alien life. It seems to me that it’s (always been) in our nature as human beings to look outward, to seek what’s out there. The scale of that search has increased as our knowledge and capacity to search and see has expanded. We look for sameness and for difference because both help us to understand ourselves and our world. Whether the scale is micro or macro the urge to explore, to seek and understand, is an integral part of what makes us human. Our wonder at the world and the universe is, indeed, a product of our (human) minds and is surely one of the things that defines us as a species (of intelligent life). With regard to the issue of tribalism, I like your football reference and chuckled as I recalled being shocked (and somewhat horrified, momentarily) to find myself loudly barracking for Barry Hall at an International Rules match in Melbourne some years ago! As a devout, lifelong Essendon fan this ‘tweeking’ of my tribal footy instincts felt bizarre but appropriate – a reminder, indeed, that context is everything. Which brings me to your comments about tribalism and your optimism regarding any possible future ‘us and them’ scenario. I, too, like Singer’s idea of ever-expanding circles of tribal inclusiveness; it certainly appeals to the optimist in me. I am, however, inclined to agree with Bostrum’s “no news is good news” assessment. Again, context is everything. As a die-hard Trekkie I feel compelled to point out that in our ever-expanding search for extraterrestrial life it is not necessarily we who will be doing the travelling! While I tend to accept your point that our morality and ethics may well have progressed by the time we’re capable of interstellar travel, will it have sufficiently developed by the time another intelligent species decides to drop in on us (perhaps as a result of their observations of our search and communication efforts)? Surely we do well to remember that it’s not all about us (no matter how small or large the tribe). Where there’s an ‘us’ there will always be a ‘them’. Singer’s ever-expanding circles notwithstanding, the issue will always be and should remain how do we relate with ‘them’, with those others? Especially those who don’t want to join our tribe? This is surely the measure, on any scale, of our (humans) moral and ethical development as a species. Thanks for your wonderful input, I agree with everything you have said here. Despite the chilling fact that you’ve barracked for Barry Hall, I hope to hear more from you in the future.